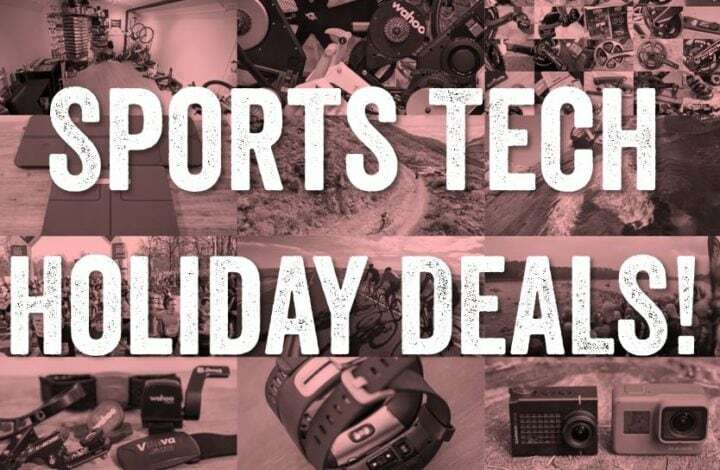 Holiday 2018 Sports Tech Deals! It’s that time of year again when there are tons of sales on all sorts of sports technology items. Everything this year is pointing to earlier sales than normal, as manufacturers and retailers alike try to lock in your dollars ahead of time. Pre-Thanksgiving deals: These are everything ahead of the US Thanksgiving, on November 22nd. These were pretty solid this year. Black Friday deals: These are tied to Black Friday (BF), on November 23rd. Some span this entire weekend. Generally speaking, most retailers have access to the same major deals (i.e. Garmin, Fitbit, etc…). Cyber Monday deals: These are on Monday, November 26th. Occasionally they spill into that Tuesday the 27th as well. There are many deals that don’t go live until tomorrow, Friday, Black Friday (like Bond, James Bond). As such, you won’t find them listed here. But at 12:01AM US Eastern Time they’ll automatically show up in the listings below. Some deals have a specific quantity of items attached, which may be a few or a ton. And others are very time-limited, like Amazon deals. Note that while many deals are US-focused, in recent years we’ve seen Europe really get into the Black Friday/Cyber Monday side. So definitely good news there! Here’s what’s currently active. The ones I feel are the best bang for the buck, have a little * at the front of them. Of course, many of these are great deals if you’re in the market for it already. It’s just the ones with the stars are exceptionally unusual. This year I’ve split them into categories of products, to make them a bit easier to sift through. Oh, and the list is updated constantly (upwards of 20-30 times a day during Black Friday weekend!). This covers anything you can wear that’s watch-like or activity band-like. Generally speaking, you’ll mostly find deals here that are on things I’ve written about in the past. So you won’t find a deal on some random non-sports tech watch here, or on socks. Unless the socks have some crazy sensor or something in them. Got a bike? Then this section is for you. Everything from bike computers to bike lights to trainers, it’s all here. I won’t generally be adding things like brake cables or bike seats here, but if I find a good deal on a cassette to stack on that new direct drive trainer you just bought, I’ll probably list it here. Wanna record it? No better way than an action camera. Anything that’s action camera related or drone related you’ll find here. That’s especially true of action camera mounts, which are often found for great deals around the holidays. Same goes with drone and drone accessories. Usually a great time to pick up an extra battery or extra props. Anything else that’s sports and fitness related that I think is interesting will be here. 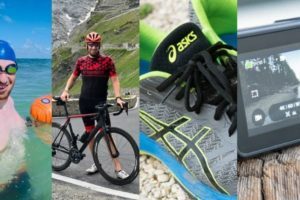 It may not be super techy – but it’s stuff that most readers will be using in pursuit of their running/cycling/swimming/hiking/whatever. This is basically the mostly totally unrelated gadgets and things I think are cool deals that I’ve likely bought one or five of (you can never have too many, right)? Some of it’s probably photography stuff. 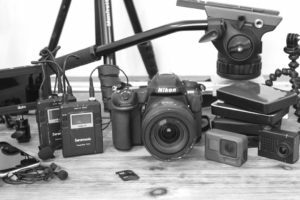 Some of it’s random stuff like chargers and battery packs that I use daily, fun camera gear I use to make videos like sliders and turntables, and well…just random things you’ll find around the DCR Cave. It’s all random…but it’s all awesome randomness! What’s that? You’re not in the US and still want a deal? No problem! First off, you should note that some retailers do send some items overseas. For example, Clever Training can send many products overseas, and do so at a flat-rate $29USD shipping cost. You’ll want to check the individual item. For some deals, that could be a huge savings! Beyond that, I’ll be tracking Euro-specific deals here. These will include both Clever Training Europe (UK) as well as Amazon European deals. Woot – important! The Clever Training Europe deals below can be combined with the DCR 10% discount coupon code DCR10BTF. Boom! So yes, another 10% savings on top of these prices! Plus free shipping in Europe for orders over 75EUR (almost everything in the list from CT). Note: On Amazon Europe deals, generally speaking, you can order from any Amazon European country site (i.e. Amazon France) and have it shipped within the EU (i.e. Spain). Thus, many times deals are duplicates across the sites. Remember these days refresh each day for the most part, and usually only last a few hours. Jump if you see something you like! No worries, you can still save a bundle, or help support the site. With Clever Training you can get 10% off everything they sell (except most sale/clearance items). You’ll just use the DCR coupon code DCR10BTF and boom, good to go! Plus, you’ll get free US shipping over $75. For a handful of items you may need to use the DCR/CT VIP program to get points back instead, but it only takes a moment to sign-up. In addition, you can support the site with purchases from any of the below three retailers – no matter if it’s sports tech, or toilet paper. Just click on the link and you’re off! Thanks for reading and supporting the site! And remember to keep checking back regularly. I’ll be posting updates to Twitter, so that’s probably the best place to follow for new updates. Also – feel free to post sports-tech specific deals down below, however, if I think they’re spammy – I’ll zap them. Good? Thanks! Wouldn’t be so bad if someone other than Garmin actually sold all the models, but for some reason they’ve decided some are exclusive to their own full priced store! Yeah, I’ve never understood the whole exclusivity thing that Garmin EU/UK does. It’s just bizarre. I know of no other business on earth that tries as hard as Garmin EU/UK to not sell products. 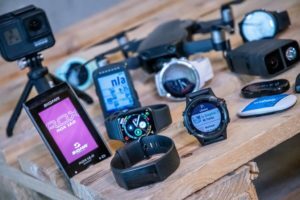 Be it taking days/weeks for new products to be available in the EU/UK (because Garmin is too slow to get listing information out), or as you noted, certain versions like the Fenix 5X Plus being restricted to first party sales or the like. Garmin Vivoactive 3 vs the Spartan Trainer both at $199. Which is the better deal? I have the Garmin 935 but was thinking one of these might be good as a second watch and to compare heart rate on occasion when the 935 is obviously off. Also, any thoughts on a heart rate strap to pair with the 935? Should I just but one of the Garmin or wait until a newer one is released. I’d sure like to have the option of memory. 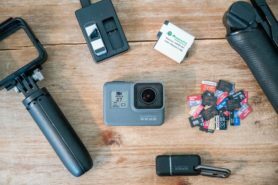 GoPro has the Hero 7 Black bundled with an extra battery, a “Chesty” chest mount and an SD card for the normal price of the Hero 7 Black. Will CT be matching that? I’ll find out. Typically getting GoPro onboard with last-second sale tweaks is tricky at best (the trickiest out of any company in the realm). Like Garmin, etc… GoPro has to explicitly approve all sales. Still, will definitely give it a whirl! Email reply… Nope. So I’ve gone for the gopro bundle. Any suggestions for where to find good deals for race wheels? Reynolds wheels are 25%off and 40%off for outlet items in their webpage, I hope that helps. I also found HED Jet 6 Plus for about 60% off. That is likely my choice. You note ‘stay tuned’ for Wahoo products. I was hoping to get the Kickr Snap for the 20% off deal – is that a possibility? When might you make note of the Wahoo deals? Thanks! Historically Wahoo has done 10% off most years, sometimes with a minor bundle or some sort. Hard to say on the SNAP, but I would wait till Monday to see what happens (which is usually when Wahoo drops their deals). I was also frantically scrolling for the Wahoo deals. Check back tomorrow and Monday, that’s usually when magic happens. Wahoo’s Black Friday “deals” are terrible this year. Only clearance pricing the noisy old KICKR? That’s it? To be fair, that KICKR deal was pretty sweet. Also, typically Wahoo tends to do most of their deals on Cyber Monday. Though, typically they also aren’t massive deals either. Yep. I seem to recall they only do 10% off trainers and their deals are usually restrictive, like who really needs more HRMs? I bought my kickr v1 with a group buy at 20% off. That was never seen again as well. I’m kicking myself for missing this but had tons of trouble trying to use the CT website on my phone. It kept crashing my browser and gave up after 20 minutes. There was no way to get on a laptop. Oh well, at least I have no reason to shell out money now. I almost never pay attention to wahoo ad mails cause their deals tend to not be the same stuff throughout the year. Any deals on Mtb Xc 29″ carbon wheels (preferably Europe)? For the Garmin 935, do you think this will be the best holiday-time deal? I was hoping it would be at least $100 off, or better yet, $150 off like the Fenix. I don’t get it. Figures, I finally decide to pull the trigger on this vs. the Fenix 5s and it’s the only time in history it’s MORE expensive! It is a real deal mate. 50% for Garmin 5 families. And in Europe. The sale by that retailer above isn’t a Garmin sale though, it’s just that retailer taking a loss on the items (since it’s below cost). The ‘official’ EU/UK Garmin sales are noted above. Sometimes (most times), we also see additional Amazon Garmin sales, starting tomorrow. Though they tend to be short (few hour) type things. Interested, but it seems shipping is only within Finland. And you can add a soft Gen3 HRM strap only for 3.9 euro to a Fenix 5X, which costs itself 399 euro. Considering that the strap is normally 50 euro or so, it is a good discount indeed. Those deals are insane! Fenix 5x Sapphire for 399€! Note that they also have Danish, Swedish and Norwegian sites, and the main Danish site seems to ship to the Netherlands. I will be in Amsterdam next week but that’s probably going to be too tight. Too bad, i was really looking for a Favero Assiomas deal this BF! Sorta. They offer 20% off, but they raised the non-sale price higher (or it’s always higher, one of the two). They list the Duo at $910, so 20% off is $728USD. Of course, ya never know what happens on Black Friday. They have a 20% off code that applies across the site, and even with delivery they aren’t charging much more than elsewhere for the Kickr Core. Only downside appears to be delivery times. Chris, it’s powermeter24.com – they’re a German (I think) site but they ship across Europe quite reasonably. yup I was tracking the price and I was really pissed off that they raise the DUO price today :/ not good for french-german friendship lol. Anyway it’s 642,71 euros, cheapest price I have found so far for them in Europe. Unfortunately the DUO is not well priced at 799 euros on the clevertraining.co.uk website. I would hang tight on the pricing changes for the CT and other retailers. While there had been rough discussions of such a price shift happening, last night’s announcement was sorta last minute (about 5 hours prior to going live). Typically retailers are given many weeks notice to get pricing updates done. In this case, it wasn’t expected to go live till sometime in December. Slightly complicating matters for most retailers is the nuances to how Favero specifically sells to retailers. So it’s not as simple as just changing prices across the board without validating a bunch of stuff with Favero first. but as a lay person I was aware that Favero was gonna drop the price today ! So I guess big retailers knew it too ! 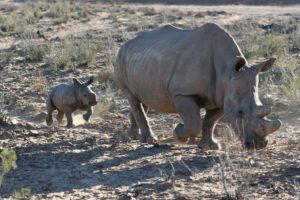 any ideas on taxes if I buy from CT.com (US) to ship to France ? Yup, CT US would specify the correct valuation if shipping overseas. But honestly, I’d just wait for both CT US and CT UK to get fully updated. IF you go to PowermeterCity, and apply POWERUP@PMC coupon at checkout, the price drops to $665…try it. Which is $50 more than Clever Training. And more yet than you’ll pay once things get sorted out. For shipments from US outbound, they do specify the value of the package (in USD), inclusive of the contents. What they don’t do is attempt to calculate duties for the arrival country. That’s what they are saying there. So when they ship something to me here, then the local customs office assigns a duties value based on the information about the value of the items. For the most part, the vast majority of US retailers don’t try and pre-calculate duties for countries overseas. It’s just too complex for smaller or medium sized companies to do when they have huge inventory (about 20,000 items for CT) and with 180 countries to ship to. you replied to his question with an implication that CT calculate those up front. I wanted to clarify that they don’t…. I think there might be some language misunderstanding. Valuation is what the value of the package as sent to customs is. Whereas inclusive of taxes is when a retailer includes those in the price and pre-pays customs for you. Remi was asking whether or not CT specified the correct valuation on the package (which then France would hit with a roughly 20% tax). Some people ask/hope that a company will specify a lower than accurate valuation so that the taxes are less. Given I roughly know Remi from past conversations over the years, I figured I knew what he was asking. All inbound packages to France are subject to the 20% taxation, over a certain amount (it’s silly low – like 75EUR or something), and then some exclusions (books I think is one). Hello, any news on discounts on polar vantage v in Europe? Thank you. Nuttin I’ve seen, and I don’t expect it either to be honest. Polar doesn’t seem to get Black Friday sales. I’ve got zero sales listed for them (current or upcoming). I did see a BF only deal on either the A360 or A370 come into my French address e-mail, but I can’t find an equal version outside of that. And honestly, it wasn’t a great deal. Doing the CT US 20% off VIP deal tomorrow for the Vantage V and importing it in would probably make the most sense. So far you can get 15% discount and free shipping on this Italian website. What’s the clever training code? The code will be posted/go-live at 8AM US Eastern time tomorrow. Them’s the rules. Plus, a few more deals go live at precisely that time too…Enjoy! Is the VIP code to be posted in this same page? I noticed that the Forerunner 645 is on sale in Europe, but not the States. Will that change between now and next Wednesday? I’m looking to replace my 630 with the 645 because of it’s support for indoor rowing and elliptical. Been suffering from some chromic soreness in the knees, so I’ve been doing a bit less on the treadmill and more on other cardio machines, when I’m not using the Kick’r. Noticed the difference also. Above arsi linked juoksukauppa.fi where you also can get the Forerunner 935 with Eur 279 ($318 USD). No US Garmin FR645 sales planned. It is unusual to see a EU deal for the FR645 (the official one isn’t huge, but it’s still there nonetheless. The one from the Finnish site is just them running their own sale, so no specific Garmin-driven sale there (doesn’t mean it’s not a good deal). I have emailed the Danish shop, unfortunately they won’t ship to the most of Europe. Meanwhile, Fenix 5 dropped prices to 299 euro on Amazon Germany. I would be more happy with a 935, though. Fenix 5 for 319 euros! You know, Amazon Germany is taking a loss, because it is below the cost. LOL, it is funny to read when somebody defends a lower discount in market economy. On the other hand nobody here may know what the fair price of F5 based on its production cost, because it is so easy to say that the marketing cost increases its price to the sky. Finally you should always focus on whether you will be really pleased with a product or not. Price should not make people blind. On Google Express it shows Target has the Garmin Forerunner 645 Music in Cerise for $404, that’s about 10% off. Prices may vary with shipping destination, I assume. Indeed, effective Nov 23rd, 2018 the Favero Assioma pedals will be $649USD going forward (and $415USD). That’s a pretty substantial price-drop. Note, it may take a few more hours for Clever Training to display this new price, but they are planning to do so very shortly. Because it is a price change, the 10% DCR discount code will still apply. The EU prices are 695EUR inclusive of VAT (Duo), and 445EUR inclusive of VAT (Uno). Note also that there might be slight differences on the exact final USD price from retailers due to the sorta weird way that Favero charges US retailers (in EUR and not USD, so it’s not protected from exchange rates). Hang tight! Awesome, i was looking for a BF deal for the uno, but this price drop is better as i was short on money to get the duo, so i may just wait a few weeks to get the duo then. Wow – big drop there. Do you think that could precipitate some reaction from other manufacturers? CT have updated the pricing but the 10% discount from DCR doesn’t apply to the product as they apply a default discount on checkout which prevents further coupon to be used. The price after default discount now is $665! Any idea if there would be further discounts on this? I show that it is still listed at $739. CT then gives a 10% discount. Scott, add it to cart and you will see an automatic 10% discount being applied, making it $665 and due to this additional codes can’t be applied. Yes, though, not immediately. My guess is early next year. The first that’ll have to move is PowerTap since they’re at a disadvantage compared to Garmin. Then Garmin will likely have to move. My guess is Garmin will have to go to $899, maybe $799 if they’re feeling frisky. But I suspect in the 8’s somewhere. To be totally frank, I’m actually not sure why Favero did it. Business-wise it doesn’t really make a ton of sense. They were already the lowest pedal based power meter by a wide margin (save the discount recently on slightly reduced P1 pedals, but those would have run out of inventory sooner or later as production has shifted to the P1. Sure, Favero might sell more units than before, but my guess is actually not really. My guess would be people would have bought them at the previous price anyway, with the exception of a handful that might have looked at picking up a pair of Vector 3’s and moving them between bikes. In this case they might just pickup two sets of Assiomas for the same price. But in the grand scheme of things, that’s a small number. Don’t get me wrong – I think it’s awesome the price is lower. But this is one of the extremely rare scenarios where I’m not sure from a (their) business standpoint it was the correct move (beyond this weekend). That’s what I’m talking about. See Ray’s post above. Could it be they are releasing a replacement for the actual version of the Assiomas? 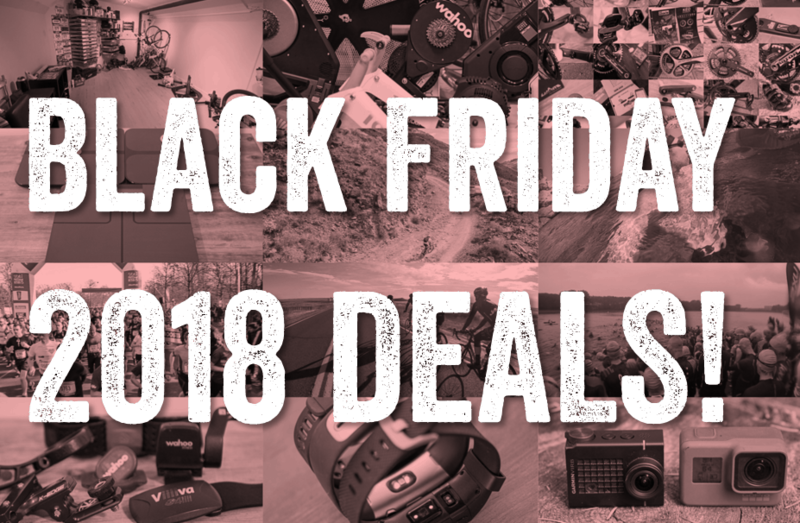 … and good deals on Garmin Edges and Virb cameras as well. I got an email from Xterra today. They are partnering with Suunto and offering 20% off everything Suunto sitewide. Ray, can you check the Mavic Air $499? It’s $689 on Amazon for base. Weird, looks like it was pulling that price from a deprecated field in the database (I had just loaded in the Mavic Air as a drone into the database this afternoon, and used what I thought was a current template). Fixed! Thanks! It is what it is ! Thanks for helping all of us here. I missed the first 20% off that ended Nov 17th. Called up CL and even talked to the supervisor and she wasn’t willing to give me a 10% off the price on top of the 10% off coupon code listed on CL. She also said that there is no other sale coming along! and now this 🙂 What a relief!! Btw, I’m torn between the Vantage V and Sunnto 9 Baro for indoor gym based exercises (e.g) 21 Day Fix/P90X etc and also outdoor runs. Which one do you personally prefer? I’m also reading on the brightness and font issues on the Vantage V even with the latest firmware 1.2.3. Is that not an issue on the Sunnto 9? I also read on your S9 review that S9 isn’t sending daily activity stats to the MovesCount app but it sends it to SportsTracker app. With the latest Nov 19th firmware update for S9, is it still an issue? Appreciate your reply which will help us with our decision. For indoor gym stuff I find the Vantage V tends to handle better than the Suunto 9. There’s a lot of reasons for that. Namely the weight of the Suunto 9 bobbles around, which hurts optical HR. Secondly, the Polar sensor is just better. As for 24×7 type stats, I don’t see any shift in that from any notes I’ve seen for the Suunto 9. Are you saying that VV is not good outdoors in terms of brightness and GPS accuracy but GPS accuracy is better on S9? With S9, I can always pair to a external HR sensor as a workaround. Right? Both can always pair to a HR strap (BT Smart). I’m saying that I think the Vantage V and Suunto 9 are getting pretty close to each other in terms of accuracy (logical since they use the same exact Sony chipset, though, accuracy often depends more on antenna design). For the tracking / optimization obsessed among us, InsideTracker offers its best sales of the year right now: 2-for-1 Ultimate + 2 FREE InnerAge blood tests (including diet recommendations for athletes) which you can use yourself or gift to friends and family. No code required—offer valid through 11:59 pm PST on Monday, November 26, 2108. Also, 25% off any other InsideTracker plan (same time limit) with code “BESTDEAL25”. on amazon.it they have the Suunto, Spartan Trainer Wrist HR at 149 € and the Suunto Spartan Sport Wrist HR at 239€. Any suggestion on which one is better on quality/price? I am a happy Polar User. I’ve been using the Loop for a while (about 5 years) and I think it’s time for an upgrade. I was thinking about the Vantage M – is it worth buying now with the 20% discount, in the hopes that they keep improving via updates, or is it worth waiting a few months until they fix the software a bit and hope that it might go on sale towards the summer? It appears the Garmin 935 (499-50 = 449) & the Fenix 5 basic (599 – 150 = 449) are the same discounted price. For the Average Joe (that has plans to take on another Ironman in the next 12m) what watch would you suggest? Wahoofitness.com is offering $80 off on Elemnt and Elemnt bundle and $200 off on 2017 Kickr smart trainer. Does the VIP deal stack with other coupon codes (you mention stacking with sales, but it’s not clear if coupons are the same as sales)? I’m eyeing a Viiia product and see there’s a coupon code on Clever Training’s site for 20% off Viiia. Thanks! Typically not, no. The exception if ‘final’ price adjustments. For example the Tacx Neo 1 is considered a price adjustment supported by a manufacturer, so in that case the discount applies as that’s just the new price from here on out. Same goes for the Favero Assioma pedals. Whereas things that are on sale or being clearanced, can’t be double-dipped. ENVE is extending it’s trade-in program to include alloy wheels, instead of just carbon, for Nov 23-27th only (the email says 23-27th, the splash page says 22nd-27th). $700 off any set of ENVE wheels in exchange for whatever (*rideable*) alloy wheels you have laying around. 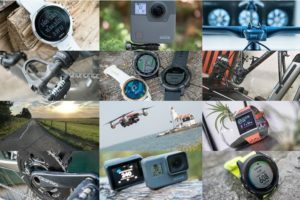 20% off everything in ubyk.co.uk, including the Garmin vector etc. Both on lightning deals, got Wahoo RPM and TICKR coming up later today too. No chance of 2-4 months. I don’t see any sooner than next summer. Garmin Fenix 5 at € 319! Garmin vivoactive 3 at € 158! Garmin Index Scale at € 95! Nice. Will order a Fenix if I can’t find a comparable deal on 645 Music or 935 watches (in EU). Garmin edge 820 for £175 on amazon UK lightning deal. Varia RTL 510 has be £99.99 on amazon uk for about a week now. AS Adventure stores in Belgium and France also give discount up to €100. Everything from €500 gets €100 discount. Everything from €250 gets €40 discount. This means Polar Vantage V + H10 for 450 instead of 550. They also deliver internationally as far as I know. Or just add something for 1-2€ and get the Polar Vantage V without the H10. 100€ discount is a good deal. I see they also ship around Europe. Is this shop reliable in terms of delivery on time and returns ? Thanx. Ii should have been reliable, since they have physical stores and a good reputation. Yet somehow they suddenly cancelled my order, because of “out-of-stock” today. Which means I can no longer profit any other Black Friday-Cyber Monday deals. Did they deliver yours @Vincent? Now I regret not have order through the deal below with intersporttwinsport.nl. There is a very good deal on the Garmin Instinct (-25%) on an Italian jewelry website. I just bought it, no connection with them. That’s a nice deal! Delivery to other European countries is 22 eur though..
At futurum shop, I bought a Kickr Snap €399. Also…high tight for one more last moment trainer deal that should go live any minute now (US). I’ll post once it’s live. The deal is only good for a single item per VIP human. Which, is tied to a single e-mail address. Missed your earlier question, headed there now. Sorry! It is comment #83 from Bob L.
Guidance sought: upgrading from a ancient device (polar s710) and taking first step into modern technology. At this point, I am specifically focused on running, though have historically been a racing cyclist. Very much interested in a data rich recording device with the highest accuracy. Zero interest in notifications, contactless payments and other smart phone cross-over features. Do not train with music, but…. Have never used mapping, but… (Does the size of the watch face really make for a useful interface for mapping beyond breadcrumb navigation?). Based on these considerations, would there be a better selection? Also, in hopes for longevity and forthcoming support, would the Plus he the top reccomendation, even if a number of the additions are in my mind superfluous? For mapping, I think it makes a huge difference on trails you don’t know. I loved it this past summer/spring in the Alps hiking with it. While certainly the map is small, I found that it made the difference between figuring out whether I was going the right way or not when I got to intersections of trails. Note these won’t last long. Like, probably not an hour long. Is the 2017 KICKR a better option than the TACX Flux S for $599? Which is quieter? More reliable? I personally think the $200 is worth it. It’s a far more powerful trainer. Like comparing a full size pickup truck to a Dodge Neon. Ordered through your link along with a Varia. Perfect comparison. Just picked up the Polar Vantage M (i use Stryd on treatmill ) and pretty happy with the 230 USD! No deals on Garmin cycling devices, such as 520plus? Astoundingly not (US anyway). Go figure. But I’ll add them in. If I used my CT VIP discount a couple of weeks ago, can I still use the one today? I’m getting an invalid error when I tried the FALLVIP code. Nevermind, just read that the code is HOLIDAYVIP. Does not work on the Kickr Mat though. You can get a Kinetic mat. It’s a tad cheaper in price and Kinetic usually has sales, they have a 20% off now. I can’t recall if they charge anything, but I have always used their turntable riser and mats. For the Favero Assioma Duo, it appears that the best price from CT is $665.10. However, if you order direct from Favero, it appears that the price is slightly lower at $650.00. (Both prices shipped to USA.) Any reason not to buy direct from Favero and save a bit more? Will there be extra customs charges or something that are separate? Thanks in advance for any feedback! I see the same CT price. While the price drop and 10% VIP discount is great, when Ray posted that there was Assioma DUO price drop to $665, I thought that that implied $665 in the cart and THEN -10% for VIPs. I should be happy, as I was planning to buy DUOs soon anyway, but then I got excited about $665 – 10%…. Hi, I know this is not the place for this, but as an exception and as Ray also had an ipad on his list… saw great deals in US, IPAD for 250$, I cannot find anything similar in Europe. Anybody? Ray, any luck in Europe? They stay around 320-350€ as to what I see. PS: Ray, I’m ordering through your Amazon link ;-). Yeah, no luck finding one any cheaper. I saw it on a Dutch business flyer for 299EUR, but that requires a business membership and be in-person to pick it up. I’ve lost track, have we seen the Fenix 5 Plus as low as £499 in the UK? I don’t believe so, not for the Plus. Wahoo kickr 2017 vs 18. 17 is on sale at CT for 799.00. Seems that the 18 is quieter. But other than that are there other major differences? The 18 also has a slightly bigger flywheel that approximately nobody has been able to notice. I think the Assionas is a typo. The prices I’m seeing are $749. Are you sure it’s $649? Because nobody has had time to update the pricing yet. Favero dropped it in a press release last night just before midnight, but only with EU pricing and USD pricing only if bought on their storefront.. Historically speaking Favero has made things a bit funkier when it comes to how they do USD pricing for retailers versus themselves (let alone invoicing/billing). So all these retailers are trying to sort things out at the last second on the busiest day of the year. As noted elsewhere, there’s no sports tech company in this entire space that does it as complex as Favero when it comes to pricing. Great products, but…messy for retailers. Ray, could you link to this press release please? (Note: They had just pasted it into an e-mail, so I pasted it into Word and then exported as PDF). What about the eu? Favero site sais 695€ and CT has it at 706€. Are these prices updated or was the price drop US only? Like all retailers right now, they’re working to sort this out. While it might seem simple, it’s actually not in this case – mostly due to the rather unique way that Favero does pricing for the retailers themselves. Appreciate the support – they’re working as fast as possible with all the right people involved to ensure the final price is correct/updated. Okay, I’ll hold my order then until they manage to get the price fixed up. Thanks! Me too, I prefer to order from CT and support DCR! Thanks! Actually, I don’t think the Clever Training price for the Assioma Duo pedals is going to move. The $650 MSRP from Favero is without VAT. The import duty that CT pays on the pedals is likely why they’re listed at $739. I believe if you buy at $650 from cycling.favero.com/shop and have them shipped to the US, you’ll get hit with with the import duty by the courier and end up paying round about 739. Does anyone know if Clever Training offers any sort of price protection? ie. if I buy now and they lower their price tomorrow, will they refund the difference? I’ve been back and forth with CT on the phone more times than I can count today while they’re trying to get to the bottom of what the final price should be in conjunction with Favero. As you noted, there are duties involved in some cases. CT is aiming to get the end consumer price to ~$650USD. Whether or not that’s with or without the discount applied is still being sorted out. Again, most of this is due to the fairly complex way Favero handles international sales behind the scenes. You’ll notice other retailers are trying to sort it out as well. Pretty sure that importing anything under $800 is now Duty free so buying directly from Favero is now the cheapest option ($646 vs 665). I tried ordering direct from Favero but their website wouldn’t accept my U.S. address and phone number. So it wouldn’t work. I had success tonight ordering from Favero in the United States. Free shipping, no tax, fair exchange rate. Awesome. Sounds like as long as your credit card/bank has no foreign transaction fees then ordering direct from Favero is the best option. Current exchange rate for Visa cards puts them at $650.67 so you’ll save $15 vs CT.
Bummer HOLIDAYVIP does not work on the Kickr 2018. I missed the earlier deal, so bummed. Oh well, no upgrade from the 2015 for me this year. Thanks for the info, been following your articles and videos for years, but just signed up for the newsletter. Correct, unfortunately all Wahoo products were excluded today from the VIP deal, at Wahoo’s request. YOu can still get the 2017 Kickr direct from Wahoo for the same $799. Yeah, I know (I get their emails), thank you. I’m not interested in the 2017, though. I have a 2015 (V1 + Powertap C1 Power meter) and the only reason to upgrade, for me, is the noise + climb support. The noise being the largest factor, so I can avoid turning up the TV and waking everyone up with the noise of everything when I workout @ 4AM. Super deals on Fenix 5. Have not tested the reliability of this shop however so one may want to check the experiences before buying. Note the 5S Plus isn’t priced as low. Suunto is offering some pretty big discounts on their website. I just got an email. The “pick out the item you want to buy” link in the instructions for getting the Clever Training deal seems to be broken for me. Is this just me? the free approach is to sync withings -> MFP -> garmin but i’ve found this is buggy, and doesn’t sync all the advanced metrics captured by the withings scale (like body fat%, muscle mass, bone mass, and water %). The POWERTAP P1 POWER METER PEDALS Clever Training deal doesn’t work. 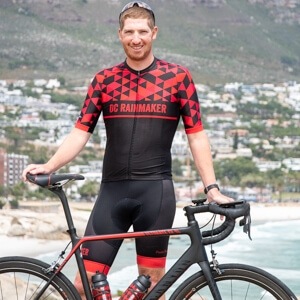 PowerTap is concurrently running a promo of their own right now for also 20% off – so basically, you can’t double-dip on sales. The bright side is that it doesn’t count against the VIP deal. I’m buying my first ever trainer. Should I go ahead and take the 2017 Kickr for $799 on the Wahoo Fitness website? Or, should I take a chance and wait until Monday hoping for a 10% discount on the 2018 Kickr Core? Is the extra price worth it for the Kickr Core since it’s silent? I’ve been planning to buy the Core as my first trainer, but if the 2017 Kickr is going to be a better buy with the discount I’ll take it. Any feedback is appreciated. Any deals on a Cervelo P2 or similar tri bike? Excel Sports has a sale on Cervelo going on right now. Looks like the only Tri bike included is the P3 but it’s basically an upgraded P2. Hey Ray, I just called CT to ask about the Assioma Duo but they painted a very different picture. They said they are aware of the price change but that Favero didn’t take the import/customs fees in consideration when announcing the new outside-EU prices. Basically, CT told me that if I buy the pedals directly from Favero I will have to pay import fees once they arrive in the US and the price will come down to around $720. Also, I would have to wait a few weeks, as expected. Instead, CT said I can use your VIP 10% and pay only $665. This is very different than what has been said so far, which is, the prices are temporarily outdated. I just don’t want to pull the trigger now and in a few days the price goes down. Do you know what’s really going on?? Yup, they’re working through it. And I’ve been chatting with them every few minutes. It sounds like right now the end-state price will be roughly $650-$660USD. Likely with the coupon (no VIP is needed, just a regular DCR coupon). That’s due to a request from Favero to keep the minimum purchasable USD price at approx $650. Lots of chatter in the comments above. Again, this is really about trying to find a solution that Favero will accept. Thanks for the very quick reply. I didn’t see the most recent messages you exchanged a few minutes before I posted this one. I didn’t refresh the page. 😉 If the price will settle around $650/$660, do you think the 10% discount will still apply?? There shouldn’t be any import fees into the US. As long as the item is less than $800 USD it will be duty free so CT is incorrect there. It’s actually cheaper to buy directly from Favero seeing as the Duo is $646 on their website vs $665 on CT.
Is $489 gross ($440 net of 10% discount) the “final” price for the Assioma Uno or will we get closer to the $415? Not affiliated, just ordered a 5 plus, was 20 EUR shipping to Germany. It’s like Garmin knew the two things I wanted to purchase and made sure not to discount them, lol…go figure. Anyone finds a good deal on an Edge 1030 and Vector 3, I’m in the market for upgrades this holiday season. The Bontrager version of Garmin’s Edge 1030 is on sale for $479. Take a look on Trek’s website. I believe Ray did a review on it earlier this year; it is basically a black version of the Edge 1030 with some minor software tweaks. Thanks, Jimmy, appreciate it, that looks like the best deal going right now for the 1030. I just tried my Clever Training VIP code and it worked, despite being past the 4 pm deadline. CAMERA NERD COMMENT: The GH5 is a great camera, but for your needs it seems like the dual pixel phase detection autofocus on Canon cameras is the best choice. I know there was a firmware update this year that improved the AF performance of the GH5, but it’s still not as good as Canon. Since you have Blackmagic cameras, you likely already have M4T lenses, making a switch to Canon less appealing. The dual pixel AF is one of the major reasons I switched from Panasonic to Canon back in 2015, and I’ve been very pleased with it. Yeah, there’s no perfect solution. Canon still lags heavily behind when it comes to video capabilities. I rented a GH5s actually back in September for about 10 days to test drive it. Really liked it, despite not quite learning it all yet. For the Black Magic, I bought them, but didn’t use them. Basically I bought them last spring when they announced and got relatively early shipping. Ultimately though they decided to not do ProRes RAW (which they said they were considering), so that took away some of the post-prod benefits I wanted with RAW (sure, they do their own RAW, but nothing that works natively in FCPX for adjusting the aspects I want). But the lack of continual auto focus was sorta the decision point. I knew that from the beginning, but in realizing how well it works on the GH5, it was sorta nice (my Nikon doesn’t have it). I still have a ton of Canon glass (non M4T unfortunately). And the bright side is that no matter what I choose going forward, it’s going to be M4T. So that helps. Thank you for your reviews and Discount deals, wish CleverTraining can actually deliver on what they discount on. I haven’t seen any issues there in that department. People for years have seemed pretty happy with CT.
+1. I’ve been extremely happy with CT, their customer service is great as well. I have had a couple exceptions using them however that was truthfully over a year ago and I popped for a wahoo fan at 20 off last sale and it was on my doorstep in a couple of days. Plus I used their customer service to deliver to my work instead after I realized no one would be home and it was all flawless. So redeemed they are. 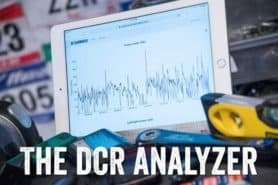 For existing DCR Analyzer subscribers who subscribed last Black Friday using the discount, will the sub renew with the discounted price? Hmm, I don’t believe so, it’ll renew at the regular price. We had tried to figure something out last minute for sub-renewals at the discount price, but, I thought about it on Thursday night at 11PM, and the dev works was just too much to do in a few hours. Well, I’m still confused about Assioma DUO pricing – I suspect that many are (including CT). I’m not an *insider* in any way / shape / form. BUT, I bet that the CT price will be about $650 *with* the 10% discount not before VIP discount. So, look, I’m appreciating the price drop, please don’e misunderstand. But Favero’s approach seems whack to me. If this is a price drop and not a sale (as it seems), well, I’ll just wait it out. I’m hoping for new power pedals by late winter (January-ish). If this was a temporary price drop to an effective $650, CT would have my purchase (anticipating that the DUO effective price returns to $799 – 10% after Cyber Monday or whatever). BUT, it seems like a permanent price drop. So, I’ve got a coupe of months and another big holiday season to wait. Maybe Garmin and/or PT decide to drop prices in response. The there’s another Favero discount for mid-December? And if there is not? Well, I keep my cash for another month and buy at today’s price in 6 or 8 weeks. So strange. Now, if this was $650 AND -10% (which is what I thought Ray implied some comments above)…well, yeah, that’s the deal I’d pull the trigger on right now. I’d pull the 650 -65 trigger also. Because I thingk I’d rather have the Assiomas than the $543 P1’s? At this point I don’t expect the final price to be lower than $650 (inclusive of discounts). So yeah, the P1 on 20% sale is an amazeball deal right now. Dang looks like I missed that coupon. Any chance it will be available again on cyber monday? Any hint on what might be coming for Cyber Monday? I’m looking for a Garmin heart rate strap to pair with my Garmin 935 so I can get those advanced metrics. Am I correct in assuming that other brands won’t work for that? You can also get the same data if you get a Garmin Running Dynamics pod (aka RD-POD) – Ray reviewed it here link to dcrainmaker.com . You can then continue using whatever HRM you like. I bought a bell z20 mips helmet today for 50% off. It seems like backcountry is selling some color combos from 114 to 125 usd. Plus lot more great deals on that website! Hope some people will find these useful. Lastly, thank you Ray for bringing us the latest sport tech! Pulled the trigger on the Assioma DUO pedals using DCR’s link. DCR – Thanks for pulling all this together. You’re the best in the business. The 935 has quality issues. If you want to regularly swim the barometer-altimeter WILL eventually break. The optical heart rate plastic on the back is known to shatter gradually over time. It’s an expensive purchase for this to happen after just a year or so of light use. Amazon.de ist offering the Polar M430 at 122€ starting now and going through Monday. Do you know if those wahoo Kickr/Headwind deals will come to the UK today? No, they aren’t slated to (to my knowledge). Even with paying the shipping, clevertraining.com is still cheaper than the retailers here, £150.00 off is quite considerable. Don’t forget that you will need to pay import tax + duties at customs though. just apply their BFRIDAY code. Hmm, what’s the import duty into the US? Based on sale price or MSRP? Is it worth paying the extra £100 over the cost of the Elite Dorieto (£599), and if so which one. Check out Target.com — appears they have Vivoactive 3 on sale for 199 PLUS15% off. So, that’s $170 for a pretty darn good device. I was hoping to pick up an Edge Explore or Wahoo Element — alas, no bf or cm sales to be found. Any idea why? The ELEMNT is listed above, a pile of sales (though, they were better sales till yesterday). Under the cycling section. Target also has the Forerunner 645 in cherise on sale for $404, and today it is 15% discount…so $390 or so. Would like to mention that at Target.com select Garmin Fenix 5 is on sale for 399.00 plus 15 % off takes it down to 360 great price to jump on! Just picked up a Elite Direto 2019 for £518. It’s strange how Amazon works. Ordered a Vivosmart 4 from the USA as it received no love in the UK. Selected the cheapest shipping which is on average 9 days from experience. They’ve sent it express DHL to be delivered Thursday. I’m not complaining but surely it’d have been cheaper to fudge it and ship it from the UK? hmm.. Sale pages from the Power Pod links above don’t show the discount.. am I looking in the wrong place? Great sum up of the Black Friday deals, thanks! late in the day…but I sent sporttracks an email this morning asking if the cyber monday deal can also be used to extend a current subscription and they replied YES. HSN.com has the Aftershokz Trekz Air for less than $100 ($99.99)! Well, I couldn’t get the Garmin 520 Plus deal to work. But, I did get the DC Analyzer discount! Thanks! Has the price still not dropped for the Favero Assioma pedals? Still looks like they’re listed at 739 or 749 everywhere. Rather than the 649 in the table. Looks like Favero has the Duo for $645 directly. Do you know if Clever will drop to match? When was the “couple hour deal” for the vivoactive 3 music? I waited up past midnight on Sunday into Monday, but the price never changed. Haha…oh well. P.S. you site is awesome and one of the top sites I refer to for all gear reviews. oops…sorry for the huge pic…thought I was uploading a pic for my profile…haha. It was from roughly dinner time on Monday night that it popped up. I tweeted it out at the time, so definitely follow on Twitter for all these random deals that pop-up out of nowhere. I was hoping to score an elemnt bolt for lower than 210$, but obviously I had no such luck. Can I expect a rebate under Christmas, or this is it until next summer? Nah, I wouldn’t expect any more deals from Wahoo anytime soon, especially on the BOLT. Sometimes we see sensor deals from Wahoo on Amazon here and there. Just a heads up. Spoke with Clever Training today and they informed me they WILL NOT be lowering the price of the Assioma to the msrp of $644usd. Seems unreasonable since the drop in msrp must have come with a drop in their cost as well??? maybe…maybe not. Certainly not if they already have product in inventory in which case they paid a higher cost so this price drop only takes away their margin. Money is so cheap most carrying costs have gone away so having to sit on their inventory makes more sense than giving away profit. There is a great deal on Amazon UK for the Garmin Index Smart Scale, but the comments/ reviews are not appealing. Do you recommend this Garmin scale or shall I go for Aria 2 or RENPHO. I’m already heavily invested in the Garmin world and I’m looking for a smart scale at the moment, but I don’t want to buy something is not working. Which smart scale are you recommending? Just a heads up for anyone interested — the 520 plus (for $ 229) deal is still on Amazon and with $50 rebate, that’s $180! 1. rebate ends this month and must be submitted by end of December. Do you have a link? Showing $279 on US Amazon. Found it under “Other sellers” (link – link to amazon.com). You will have sales tax ($18 for me), but an Edge Plus for ~$200 OTD is a great deal. Looks Like DCR was right! Clever Training dropped their prices. Assioma Duo is 649.99USD and Uno is 414.99USD. The DCR discount code can no longer be added. Quick, 10 year old daughter on a swim team, and runner. Which wearable for tiny wrist? Thanks, you rock! Normally for younger runners I’d recommend either the smaller Polar M200 or Garmin FR25/30/35 type series. However, if she wants swimming stats, that does increase price a little bit. In which case you could look at something like the Vivoactive series. The Vivoactive 3 is a bit pricey for a 10-yo old though, and the Vivoactive HR is a bit clunky. If she just wants it for GPS running and not caring about swim stats, then I’d go with the two variants mentioned first (fear not, it’s still totally waterproof). Is there a reason to prefer CleverTraining over WahooFitness.com (or the other way around)? CT supports the site here, and in the case of non-sale products gets you 10% back in points. For sale products there’s no price difference to Wahoo’s site, but only CT supports the site here. Done on CT using the link on this page. Thank you for your work! For those interested….and this is short notice. eBay is having a sale you can get 15% off any sports/fitness purchase. That includes Garmin watches. CT has a Ebay site. And the coupon works. But’s it’s only a for a few more hours- Dec. 14 until 11:59 pm (PT) for the US site. As someone who currently just takes his phone on him + bluetooth HRM, for bike rides, runs, skating and summer outdoor swims(phone in a float buoy). I’m looking at several options of last gen top-end devices, namely the Garmin 920xt (+tri combo), Polar v800(+h10) and Suunto ambit3 peak. with these there are several options of used/new/refurb for very good prices. I would like something that handles indoor pool swimming and outdoor gps swimming, for running, for biking and other sports if i happen to do them. For swimming i would love to have some feedback on my speed and cadence while swimming/end of lane. For runs maybe more run stats like Garmin provides with the Tri bands. But its hard to find a good comparison of these three for their “swim performance”, and overall, especially now after the firmware have been completely changed since they first came out and were reviewed.